The Breaking Point: Are we there? | Small Farmers. Big Change. This is bad news and something the european fairtrade organisations lack to communicate about. In Belgium Chiquita is by far the largest supplier of bananas. Any indications or prove they act as irresponsibel as their Dole counterparts? I’d like to cimmunicate about it on my blog, since in out worldshop we sell Peruvian fairtrade bananas. but I assume you’re asking more about their practices in northern Peru? The co-ops told us that while Dole has been operating in this region for a number of years, it is only recently that Chiquita is trying to edge into the market. As I said, lack of supply throughout Central and South America is causing severe competition wherever there is supply. So Chiquita and Dole are in a price war with each other. Unfortunately although it seems like this price war would help the farmer co-ops, it is in fact causing them to be on the verge of folding. Both are undercutting prices in the United States so that stores feel the same temptation to buy their bananas at the cost of other alternative importers. As always, thanks for your interest and work spreading the word. Anyway, of course I’ve read the Chiquita papers. Thanks for that article again. But what about their partnership with Rainforest Alliance, then? Does this all mean they don’t really get the point of fair sustainable trade? And more important: what about Rainforest Alliance? Why are they not acting more bravely in your opinion? A few years back I got the opportunity to talk to the people who were representing Rainforest Alliance in Europa on a charity concert in my hometown. We had a good, open discussion, but in the end they somehow resembled me as being kind of spokesmen for Chiquita. Hope you’ll catch up again with that link you couldn’t locate. here are a couple of dated or slightly biased articles about Chiquita and Rainforest Alliance if you are interested. I realized in trying to draft a response that I always come back to wanting to discuss what we (and other ATOs) are doing positively by treating producers as partners in trade than what the big 5 banana companies are merely doing which seems to be the same business as usual just slightly better. That being said, small improvements on the scale of the big 5 have tremendous impact on both the environment and the health and safety of banana workers worldwide. What drew me to Equal Exchange and keeps me motivated in the banana business is the real mix of social values with economics which can create an atmosphere of true empowerment for all parties in the supply chain. Still, I don’t really have my question answered, like probably is the case with you (us all?). Do labels really make any difference in the end? I mean, in this case it doesn’t seem to prevent Chiquita from destroying the livelyhoods of the people Phyllis is trying to make us aware about. We definitely need more indepth reporting on cases like these. So keep up the good work you all, and keep eyes and ears open and your customers aware. It is a tough question Steven about labels and what they mean. I was an organic farmer when the national organic program was implemented here in the U.S. in 2001. In the end the practices agreed on as a benchmark for a national organic standard were far below the practices we had all been using for years as small scale organic farmers to care for our land, our customers and ourselves. Those practices applied to agribusiness however have probably had some good results. But putting us all in the same pot seemed ridiculous just as the work we are doing in bananas compared to the work that Dole and Chiquita are doing seems difficult to compare. To me, standards are the bare minimum we all start at and we continue to differentiate ourselves after that. Consumers are equally confused by all these different seals and certifications and so part of our job is constant education and raising awareness about the issues. Thanks Anna. This is the way to go. Let’s communicate with eachother. Does RA take any stand against Chiquita hiring para-militairy groups in Colombia to break unions? That’s an important issue. In my opinion it will make or break your label in the end. Supermarkets in Europe consider this as “politics”. Which means they don’t really bother. How do you think about this? We are more than happy to communicate with you about this! Chiquita’s public documents do not in any way indicate that payments were made to “break unions,” but rather were made to protect the lives of employees, which is quite the opposite. As the company has admitted, it was illegal for them to make payments to the FARC in exchange for protection for their employees and their families. If we had evidence that any business that owns Rainforest Alliance Certified farms took action to “break unions,” then yes, that would put their certification in jeopardy. But this is clearly not the case with the issue in Colombia. I am native Flemish speaking, so I’m tempted to go not too much in detail, because of my rather poor English. Anyway, it’s really great you want to discuss this wholeheartedly overhere. Chiquita: The Guns and Drugs and Union Killing CNN Didn’t Mention. Excuse me for not being specific enough. Joint Statement Fairtrade, SAN/Rainforest Alliance & UTZ Certified. How about you? Hi, what has happened to my #comment-4079 ? The Rainforest Alliance has not seen a response from Chiquita regarding this specific lawsuit and we cannot speak on their behalf. We do understand that the statements you cited are allegations and have not been proven. 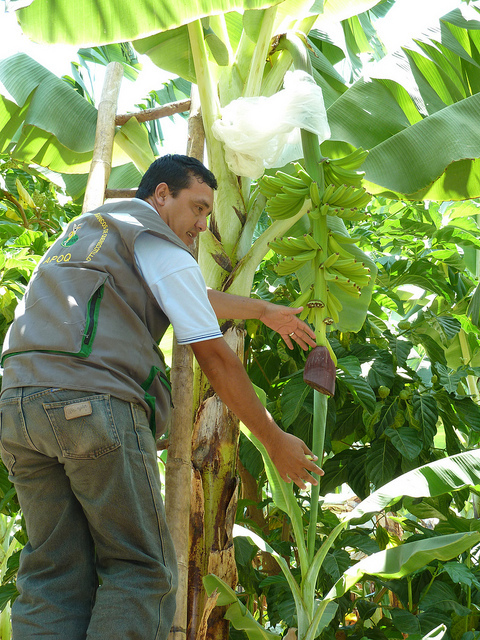 As you are probably aware, Chiquita no longer owns any banana farms in Colombia. While Rainforest Alliance certification cannot guarantee that every single worker on every single certified farm is being treated fairly every single minute of his or her working days, we do strongly believe that certification offers huge protection to the employees on farms throughout the tropics. And this speaks to our joint statement with Fairt Trade and Utz. We are indeed pleased that the three certification programs are better aligned, so we can focus on working toward out join goals of improving the lives of workers and their families and the environment on which they depend. You can just enter the name of the company/brand into the search box and instantly get a long list of recent news about that firm.